Creating ecommerce websites is no longer a strenuous task involving multiple people with multiple talents spending hours glued to a bleak screen. An ecommerce website can now be created within a span of 30 minutes to an hour depending on one’s selection and knowledge of website builders. 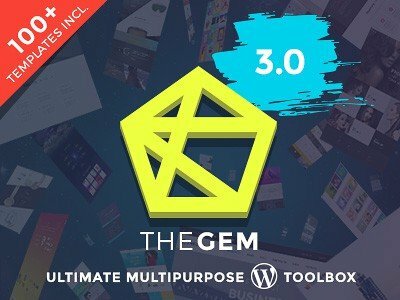 There are not just any ecommerce website builders; these are a collection of DIY website builders. The Do It Yourself trend has finally reached the world of website designing and has taken the world by storm. Here are some of the best choices of DIY e-commerce website builders that most designers can rely on without a second thought. Novi Builder is an easy-to-use and multi-feature page builder that can become your assistant in the process of website building. Everything is pretty simple. It is possible to import any HTML template your soul wants to this very builder and start its personalization. You can easily work with your pages and their structure, add images, edit texts, and work with other elements. What is more important, you can make changes in a visual mode. In other words, both non-techies and professionals will be satisfied with a way this drag-and-drop builder works. Keep in mind that Novi Membership gives you a chance to use not only this very page builder but some additional plugins and ready-made templates. Cost: $29 / year (startup plan), $49 / year (advanced plan), $149 / one time (lifetime membership). Shopify is one of the best known website builders for business owners small and big. The best feature is possibly the huge collection of compatible plug-ins that significantly increases the functionality of any professional grade website. 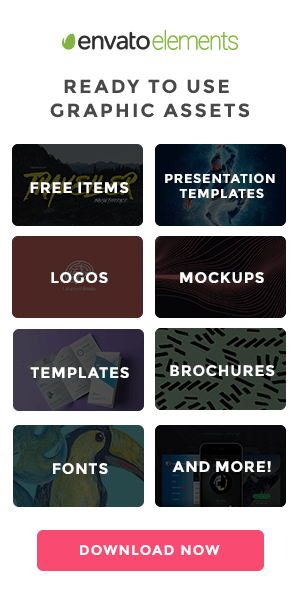 The online store builder give you drag and drop options for building you brand new website with responsive and retina ready templates. About 300,000 online stores are powered by Shopify. It is hugely popular choice among entrepreneurs because of its mobile compatibility, SEO options and marketing resources. Cost: basic plan comes for $29 monthly. Advanced plan is $299 monthly. 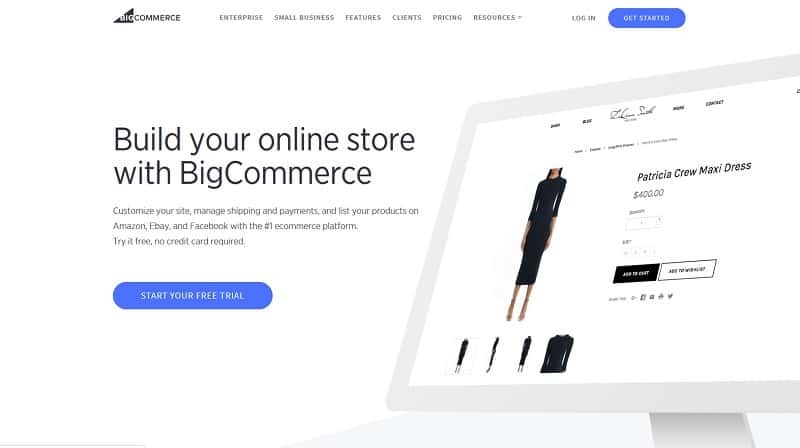 Bigcommerce is one of the best DIY ecommerce website builders. It comes with a plethora of necessary features with a huge selection of professional templates that makes the builder super user-friendly. Besides the usual plug-ins it comes with advanced SEO tools and marketing options that skyrocket the analytics of your website. It also brings forth a new generation of conversion tools and top level security which draws more customers to your online store. Add a couple of powerful analytic tools to that, and you have one of the most powerful ecommerce websites running successfully, sporting one of the highest conversion rates. Cost: standard package comes for $29.95 per month. Bigcommerce Plus comes for $79.95 per month. Pro package comes for $199.90 per month; call Bigcommerce for the Enterprice package pricing. 3dcart is an SEO-ready DIY ecommerce website themes builder. The South Florida based ecommerce company offers a large number of built-in marketing features, including SEO tools and even a Newsletter system. 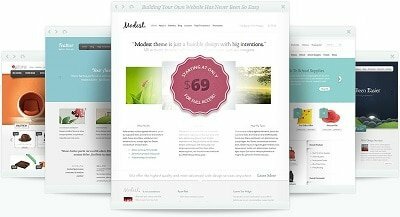 With 50+ mobile-ready themes included for free, you can build and market your website within the same platform. 3dcart has no products, orders or bandwidth limits, and no transactions fees; their plan tiers are based in user seats and features. Cost: Startup plan is $19 per month. Basic for $29 per month, Plus for $79 per month. Pro package comes for $229 per month; and 3dcart Enterprise starts at $499 per month. Volusion is the wizard of all DIY websites and it currently powers over 40,000 successfully running online stores. It is also possibly one of the very few DIY website builders that provide the users will all necessary tools required for building a visually appealing product gallery. Thankfully, the designs are not Flash-heavy and this makes every inch of your online store look fresh and smooth. It comes with simple SEO features, auto generated site map, email marketing tools, daily backup tools and simple payment processing options. Cost: $15 per month for the Volusion mini package and $135 per month for the premium plan. Weebly is a simple solution to all your ecommerce related problems. While it has one of the best collections of retina ready, responsive templates, it also puts forth amazing options for website hosting and analytics. A very special feature is the auto-calculation of tax rates for your customers based on their locations. It also has options of integrated blogs, advanced SEO tools and live search options. The plug-ins are immaculate and are compatible with all the templates featured. All in all, Weebly is a wonderful choice for ecommerce site builders. Cost: Weebly starter plan costs $5 per day and the Weebly Pro plan costs $9 per month. Squarespace – this is quite a unique DIY builder meant for small businesses, and comes with a huge collection of smooth, responsive templates. Every template comprises product galleries, shopping carts, payment options and much more without the use of added plug-ins. The hosting uses real-time analytics and social media integration for attracting more customers. Every template comes with free email features, inventory management options, packaging slips, image management options and much more. Cost: $12 for first 20 pages. $18 for unlimited plan. $26 for ecommerce plans. Wix – one of the most popular platforms that has drawn multiple businesses to the online world. It has a huge collection of responsive templates dedicated for business and company portfolio uses. Wix has options of free hosting, one page websites, free social media integrations, video/image backgrounds, media integration, live chat and a long list of other features necessary for every professional website. Possibly, the most lauded feature is the Skype call integration with the Wix ecommerce templates which makes it possible for buyers/clients to reach out to the business customer care with one click. It is a drag-and-drop based website builder that makes the website building task easy, informative and fun for the novice designers. Cost: $5 per month for the premium plan. Duda is unique in many ways. It is one of the few mobile only website builders which have been created for small business owners, entrepreneurs and freelancing professionals who would like to make an impression online. It features the most necessary widgets, add-ons and attributes that make Duda the must-use of all new business owners. Creating a new website takes no more than 30 minutes using the awesome DIY website builder. It features a horde of SEO tools, analytics option on a fresh analytics dashboard, Amazon Web Services hosting and social media integrations. All in all, this is an all-rounder as far as professional templates are concerned. Moonfruit – a website builder which we all have been waiting for, Moonfruit provides an entrepreneur with all the necessary keys to online business success. Getting your site up and running will take less than half an hour with Moonfruit if you know what features you want your new website to have. Some of the must have features of the templates from this DIY web builder includes Google Analytics, Google Maps, video widgets and image gallery tools. It has a huge repository of free and pain plug-ins for enhancing your website functionality. Cost: rents are as less as $4.50 per month. Voog – the specialty of this website lies with its multilingual support. Voog helps in the creation of business websites using DIY method. Besides the fun drag-and-drop Voog makes use of demo content in responsive templates that makes creating professional grade websites a pleasure with this DIY ecommerce website builder. As a matter of fact, after choosing a template for your storefront you can get your website up and running within 15 minutes if you simply follow the building instructions step by step. For the best ecommerce functions, you can always reach out to their 24*7 customer support for help regarding setup. Cost: €6 per month for 30 pages. Yola – It is quite the king of DIY website builders for professionals and business owners. Yola gives you 5 sets of websites instead of the standard 1 with the free package. The special features also include banner-free hosting, 24*7 customer support and 1 GB storage for each website built using Yola. You can now keep track of customer conversion with the advanced analytics tools provided by Yola for all the Bronze, Silver and Gold packages. Each of these come with custom domains and a minimum of 2 GB storage size (for Bronze). However, mobile ready website options and premium templates come with Silver and Gold packages only. And auto-SEO monitoring is the star feature of the Gold package. Cost: Bronze – $4.16/month. Silver – $8.33/month. Gold – $ 16.66/month.